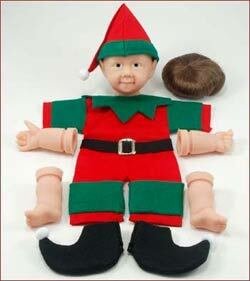 Made in the USA - SOFT VINYL - Little ELF Kit with Complete Outfit & Wig. 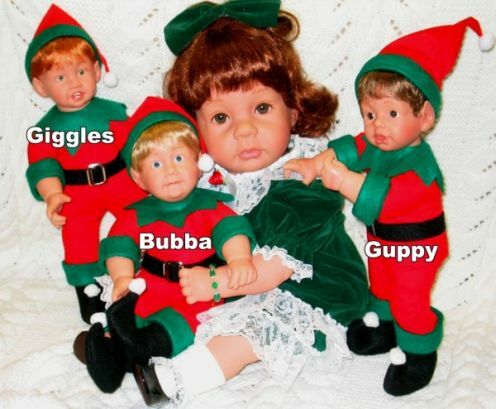 You can have Lots of Fun with these Cute Little Elves. 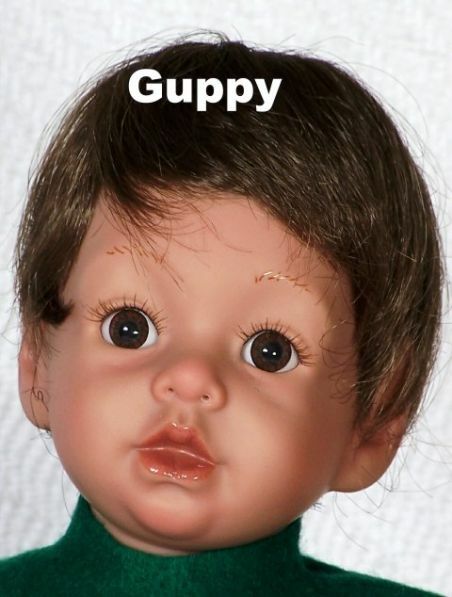 They come in unpainted vinyl in kit form. Everything to make one little 12" Elf is included. What would Christmas be without Santa's Elves. 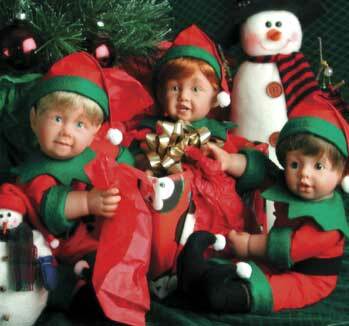 You will love posing these Little Elves. Like hanging from the Christmas tree, or sitting on top of the Tree. like the fireplace, table decorations, or even peeking out of a Christmas Stocking. 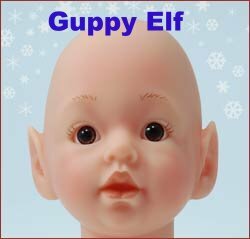 *and a little Elf Wig. HINT: Use a wire coat hanger as an armature to position these little guys any way you want.